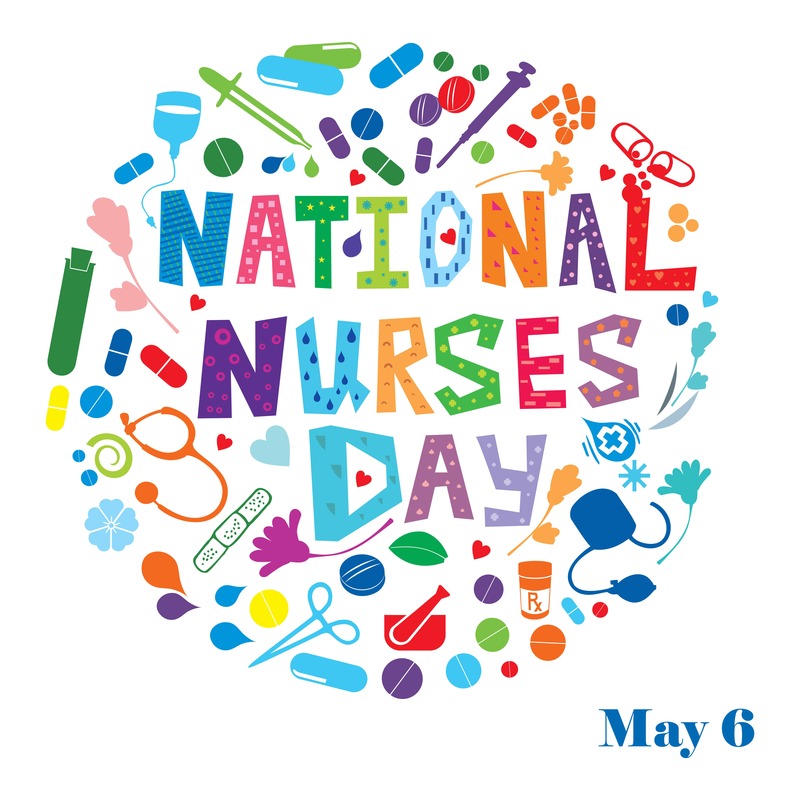 Let’s take a moment to appreciate all of the nurses who have touched our lives on National Nurses Day this Sunday, May 6. Today’s nurses efficiently combine an absolute mastery of advanced medical skills with a profoundly gentle desire to help people in need. Read on for a brief view of two women who helped to transform the role of the nurse from that of a bedside comforter to that of a highly skilled medical professional representative of nursing today. Modern nursing requires a level of sophisticated technical skill that would boggle the mind of previous generations of nurses. Nursing as a profession dates back to the innovative work of a British woman named Florence Nightingale. Like the self-taught nurses before her, Florence Nightingale (1820-1910) learned her craft through doing it. There were no schools of nursing like we think of today, and the field consisted primarily of providing bedside care and comfort. Florence Nightingale served as a volunteer nurse in charge of caring for wounded British soldiers during the Crimean War. Her wartime experiences influenced her understanding of the role that nurses could play in medicine. She founded the first modern nursing school at Saint Thomas’ Hospital in London where she also instituted new hospital patient ward designs and infection control programs. 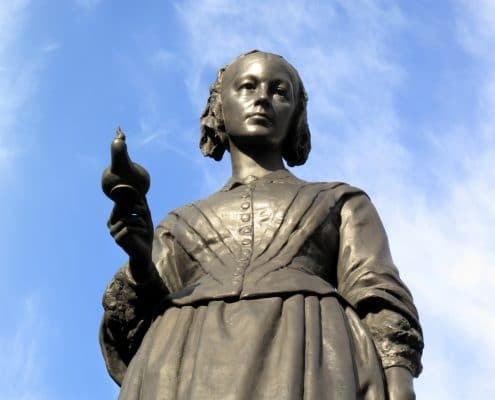 Fortunately for the future of professional nursing, Florence Nightingale was also a dedicated educator and social activist. She put forth her belief in the importance of skilled nurses within the healthcare system in a series of highly influential writings. Her teachings helped form the basis of the International Red Cross, and the organization awards the Florence Nightingale Medal in her honor. Like her predecessor Florence Nightingale, Virginia Henderson (1897-1996) helped to transform nursing through her productive written work. Unlike earlier nursing giants like Nightingale, Virginia Henderson received a formal education in nursing in addition to obtaining advanced college degrees in education. One of Virginia Henderson’s significant contributions to the nursing practice is the idea that nurses should strive to encourage independence in their patients. 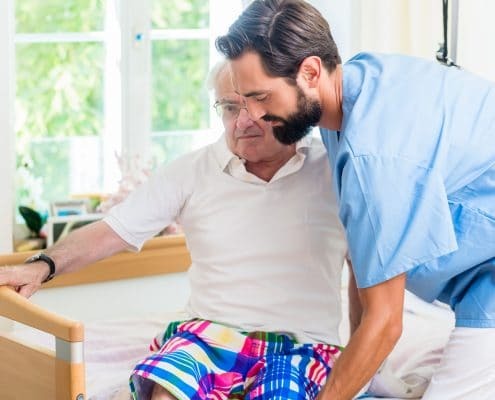 Her theory, known as Henderson’s Need Theory, focuses on the part that nurses play in meeting the basic needs of their patients while helping them to regain a feeling of independence. During her long career, Henderson moved the nursing profession toward the current view of the nurse / patient partnership as a fundamental part of improving health. By focusing on how nurses can assist people to become independent again, Virginia Henderson encouraged the public to see nurses as trained professionals. Nursing is an exciting and demanding profession that challenges its members to reach high educational and training levels. Many nurses obtain bachelor’s degrees in nursing, and a growing number of them are moving onto graduate work in specialized areas in their field. The professional demands facing nurses continue to increase as a growing number of health concerns impact society. For example, there is a strong need for nurses trained in memory care to respond to our aging members of the community. Public Health Nurses strive to keep communities healthy. For example, a public health nurse might organize a community health clinic to assist migrant farm workers in a rural community. 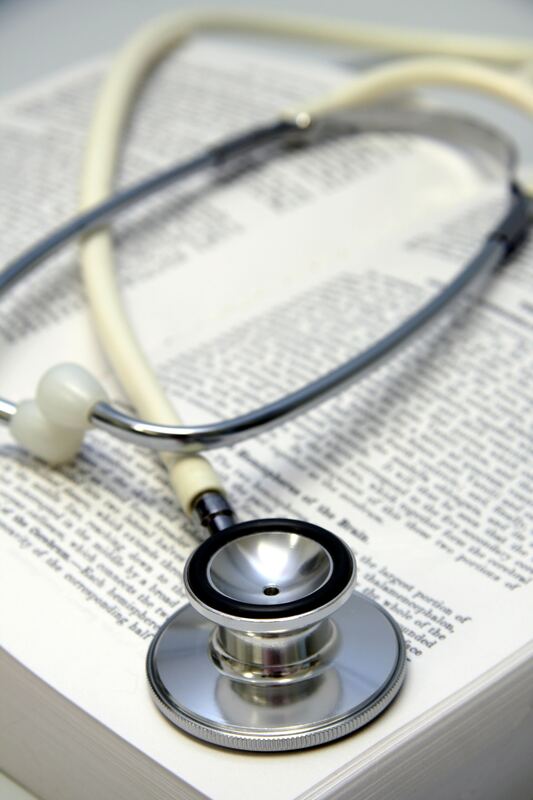 Nurse Practitioners diagnose and treat patients with routine medical needs. 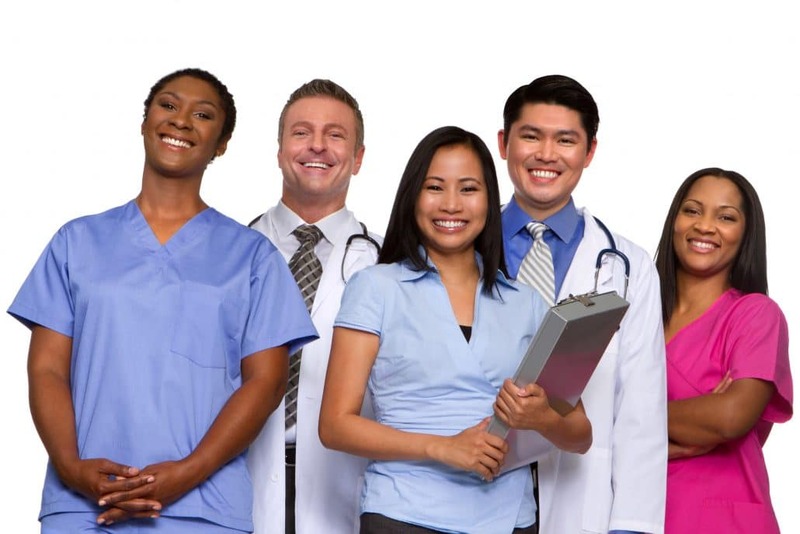 These highly trained professionals often work in hospitals and medical clinics. Certified Nurse Midwives work alongside physicians and in private practices. In addition to delivering babies, certified nurse midwives guide their patient throughout the pregnancy experience. Neonatal Nurses treat new babies while they are in the hospital. Intensive care unit nurses must possess additional training and certification in areas such as neonatal resuscitation and neonatal intensive care nursing. Hospice Nurses tend to the physical and emotional needs of patients facing the end of life. Hospice nurses assist patients in hospice facilities, hospitals, and in their homes. Twenty years ago, a baby boy was born in Palo Alto, CA. The baby’s delivery was challenging, and he did not breathe for the first three minutes of his life. Fortunately for the little guy, the hospital was prepared to assist very ill babies, and the medical professionals soon had him breathing. He soon transferred to the neonatal intensive care unit (NICU) where he received the constant attention of a team of nurses. The baby, soon named Collin, spent a week in the NICU unit and his parents rarely left his side. During this incredibly stressful time, his parents relied on Collin’s primary nurse for information and emotional support. A variety of physicians and other healthcare professionals helped heal Collin, but the nursing team oversaw his care. Collin is now a healthy 20-year-old college student. Occasionally, especially on his birthday, his parents remember their experience in the NICU. The one thing that remains clear in their memories is that Collin’s nurse was named Gabrielle and she took excellent care of their little boy. Lastly, the nursing profession attracts outstanding individuals dedicated to offering compassionate care to patients and their families. As a nurse, you spend your professional life improving the lives of others in what are often stressful and uncomfortable situations. Thank you for deciding to pursue a calling in nursing. Your efforts, like those of the nurse who helped baby Collin, will touch the hearts of countless individuals throughout your career.